i'm excited to welcome back goat and lulu this month! amanda never ceases to amaze me with her creativity. every time i look at her etsy shop, she's added more and more new designs and products. 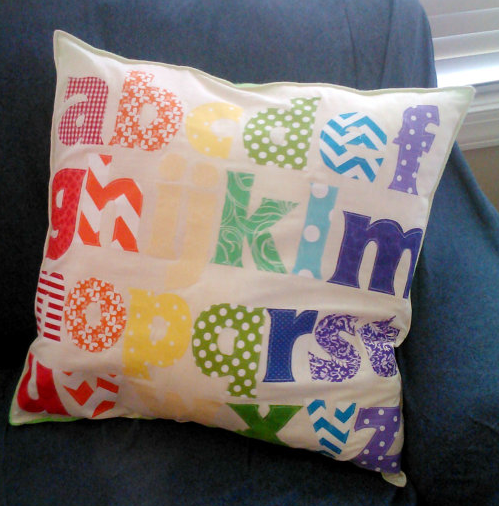 i love this appliqued ABC pillow. how cute would it be in a playroom or even as an end of the year gift for a teacher?! and the goat and lulu signature appliqued shirts are as cute as ever! 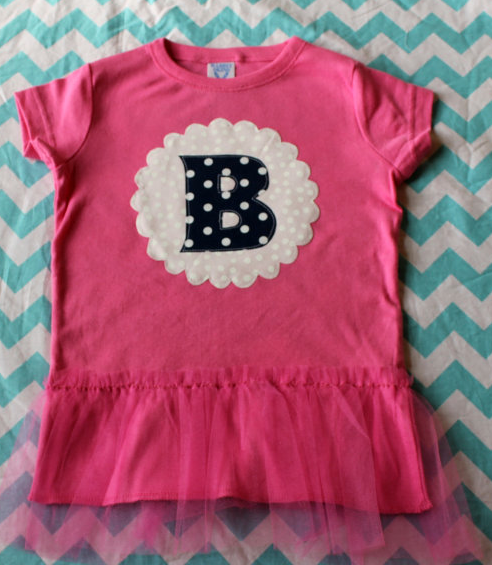 i know two little girls that would LOVE these tutu inspired shirts. PRECIOUS! 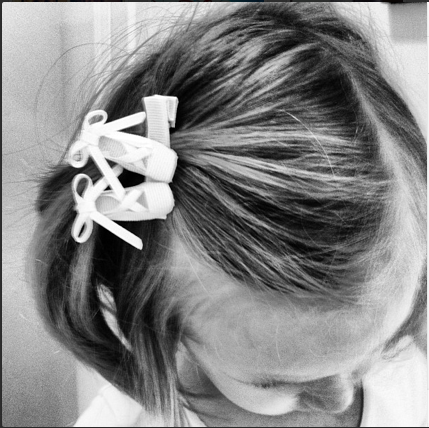 amanda also specializes in custom work, if you have an idea - she can make it comet o life! make sure to check out goat and lulu's etsy shop, facebook page, and follow goat and lulu on twitter for all the latest and greatest! now that may is finally here, it's time to start thinking about the end of the school year! minted carries beautiful graduation announcements, party invitations, and more! use the code CLASSOF13 to receive 15% off your order of graduation invites and/or announcements. one of libbi's current favorites is her ballet clippie that she wears to ballet each week. isn't it precious?! 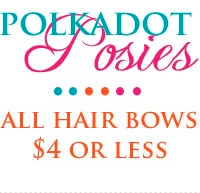 be sure to check out polkadot posies for all the sweet little girls in your life! i can't say enough about my memories software. i have made countless printables, invites, labels and more through this program. it's so easy to use and is FUN, too! i even made laney's birthday invites this year using my memories software. with the end of the school year quickly approaching, i've also been using my memories to create cute labels and printables for the girls' teachers and classmates. check out mymemories.com for more information on how to order and download the software. make sure to enter in the code: STMMMS42656 to receive $10 off your purchase! finally, if you're not using ebates, you're missing out! if you're anything like me, you love shopping online. i do the majority of our clothes/shoes/electronics shopping online and when i do, i ALWAYS shop through ebates. shopping through ebates is FREE money back in my pocket. it's always fun to make online purchases and see money go BACK INTO my account just because i shopped using ebates. click HERE to sign up if you haven't already!